With 2018 now in the rearview, we would like to take a moment to recognize those players that have already decided on a new home for next Fall. These players have chosen institutions at all levels of NCAA competition. Schools as far West as Illinois and as far South as Maryland. 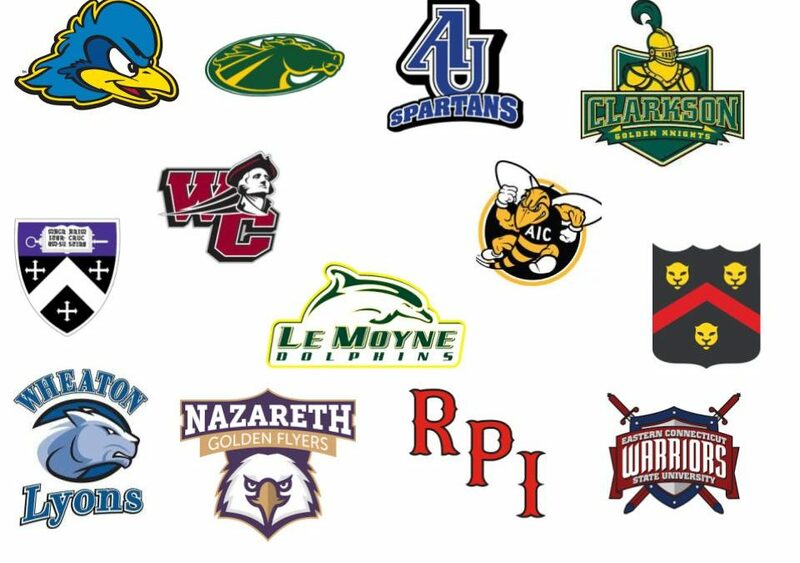 While there are certainly more to come as the admissions letters come rolling in 2019, we could not be more thrilled with the choices these players have made. We look forward to seeing them on embark on their individual college journeys! Austin has played with Catamount for four years. He is an outstanding dodger who could always be relied upon to find the back of the net when the team needed it most. Though not pure Faceoff Middie, Austin was often nominated by his teammates to represent them in Braveheart competitions to break ties. One notable Braveheart was the 2018 March Ice-Out where Austin played excellent defense before burying a shot on the run to win the tournament. He will be joining a program steeped in the tradition of lacrosse in the Centennial Conference. Chris is a dominant Faceoff Man who has been with Catamount for a year. Coming to us from Coventry, RI Chris made the long trek to Springfield College for Summer practices with a smile. He repeatedly put his teams in the position to compete with his skills at the Faceoff X. He joins the defending champions of the Midwest Lacrosse Conference who are looking to build upon a second round showing in the NCAA Tournament in 2018. Dayton is a big dodging middie who embraced the faceoff role to become among the most dominant draw-men in Berkshire County. He has been with Catamount for three years. Dayton was accepted in early admission to Wheaton and plans to study Physics. Dayton was a member of the West team that won the 2018 Baystate Games Gold Medal, earned numerous All-WMass nominations and a nomination to the Bostonlax.net Middie watch list. He will be joining a Wheaton squad that had a winning record in 2018 and looks to compete with NEWMAC titans Springfield and Coast Guard. Dimitris is a versatile two handed middie that makes his presence known on the field both offensively and defensively. He has been with Catamount for three years. Dimitris scored the game winning over time goal for the West team to win the Baystate Games Gold Medal in 2018 and was named All-WMass. He will be joining an ECSU team that went to the Little East Finals in 2018 and looks to improve under the guidance of new coach Marc Graham. Gavin is a sleek middie with who is equally comfortable burying a shot in the net or finding a teammate for the finish. He played two years for Catamount. Gavin will be joining former Cat Jared Miglorie who is currently a freshman at Nazareth. He will be joining a proud Nazareth program that looks to bounce back from a tough 2018. Jackson is the proverbial quarterback on the lacrosse field without being “just” an X Attackman. He has athletic ability in spades but also demonstrates a next level lacrosse IQ that we are confident will bode him well at Lemoyne. Jackson played with Catamount for the Fall of 2018 and committed to Lemoyne before joining the club. He was the scoring leader for the West team that won the 2018 Baystate games. He joins a perennial Division II top 5 power that is looking to rebound from a round 2 exit in the 2018 NCAA Tournament. John is the consummate competitor and teammate. He is just the person you would want backstopping your defense or facing a point blank shot. He played three years with Catamount and is currently attending the Hill Academy in Ontario, Canada where he will play possibly the most competitive spring schedule in 2019 High School Lacrosse. John is joining a Delaware program that made the Colonial Athletic Association Semi Finals in 2018 under first year coach Ben DeLuca. Landon has been with Catamount for 3 years. He is a two way middie that is a force in transition and a threat on offense with his step down shot. Landon was a member of the West team that won the 2018 Baystate Games Gold and will be a captain for Chicopee Comp in 2019. He joins former Catamounts Cameron Menard (West Springfield), Matt Quinlan (Cushing) and Stephen Stratton (South Hadley) an AIC squad that is looking to advance in DII’s top conference, the Northeast 10. Liam has been with Catamount for 4 years. He is a matchup that no opposing attackman wishes for with great size and vicious checks. Liam is a leader both on and off the field which was embodied most recently in his pre-game speech at the Fall Brawl where he fired up the squad to a hot start and an eventual tournament title. He will be joining three former Cats, Brendan Sinko (East Lyme, CT HS), Brayden Wilkins (Colchester, VT HS) and Jacob Schultz (NMH/Westfield, MA) on a Clarkson team that looks to improve on a first round exit from the Liberty League Tournament in 2018. Matt has been with Catamount for two years. He is an athletic middie with an absolute hammer of a shot. With his understated demeanor, he can fly under the radar, but one of our favorite moments of 2018 happened following one of Matt’s Spring game goals with BBA when a parent of an opposing player exclaimed “Who is THAT!? !” He will be joining a Wentworth team that looks to improve upon a 6-8 record in 2018. Ned has been with Catamount for two years. He is a quick and steadfast keeper who earned the starting position at Longmeadow this past year on a team that went to the state semi-final. He will be joining former Catamount Sam Ohotnicky (Northampton, MA) on a Skidmore team that went 8-8 last year and now begins their first year under new coach Joe Martin. Nick has been with Catamount for three years. He is a relentless defender who is nearly impossible to shake. His Hartford teams have twice advanced to the VT state title in his time with the team. He will be joining an RPI team that enters its first year under new Coach Scott Hackett-Dalgleish in 2019. RPI has a tradition of excellence and went 12-4 last year falling to Ithaca in the Liberty League Semi-Final. Quinn has been with Catamount for two years. He has impeccable footwork and is just as comfortable playing close defense as playing up top. He is a force in the clear and is a quiet threat to score if he catches the defense sleeping. Quinn was a two time Bay State Games Gold Medalist with the West team. He joins fellow Catamount Dayton Kozlowski on a Wheaton team looking to compete in the NEWMAC. Ronan has played with Catamount for 3 years. He has a lazer of a step down shot and has been a go to look on the Catamount Lake Placid team for years. He joins a Kenyon College team that went 9-6 in 2018 before losing to Denison in the first round of the NCAC tournament.